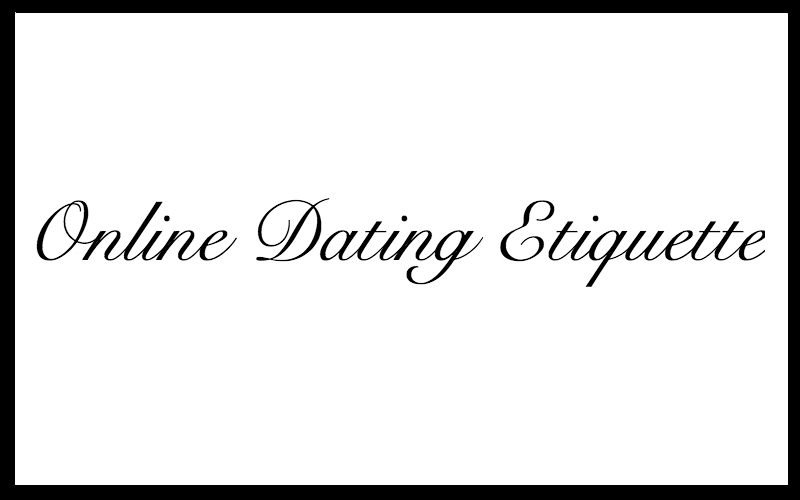 Creating a successful profile is the single-most important aspect of your online dating experience. People may view your picture first, but it’s the content of your actual profile that will drive them to message you. That’s why you’re here, right? Because you want to meet someone meaningful. Keyword: meaningful. How does a legit profile lend itself to meeting someone meaningful? I’m glad you asked. Getting to know someone, in general, is typically not an easy task. Imagine you meet someone new while out for coffee. Is this person the cashier? If he or she is, is he or she being nice because that’s good practice? Is this person sitting at the next table over? Does he or she seem shy or outgoing? Is this person behind you in line? Is he or she humble or annoyingly chatty? There are seemingly a million circumstances when you meet someone in person. But there’s only one circumstance when you view someone’s profile. This is why creating a successful profile is paramount. In the first two parts of this series, Selecting a Username and Choosing the Right Profile Pictures, we examined proper etiquette through a series of Do‘s and Don’t‘s. We will do the same here; however, this section will be larger in this post because there are more areas to cover. Remember, these are guidelines you should follow to make your profile the best it can be. If you want to change direction from this advice, you have every right to do so. Just be sure that you know it will work in your favor. These guidelines are guidelines for a reason! Do be yourself. This is the most important one here. Like we discussed above, getting to know someone in person involves gauging tons of circumstances and variables. When your profile is a true representation of who you are, then meeting someone meaningful in person will be that much easier. It is commonplace in society for someone to crack a joke about “not looking like their profile picture.” The lesser-known cousin to this joke is the profile not matching with the actual person. If you’re into Zelda and pancakes every morning for breakfast, say it! If you’re all about Attack on Titan and Haribo gummy bears, write that down! Celebrate who you are! Don’t let your profile mislead others about who you really are. Like we just noted, say what you like and mean what you say. Someone will read your profile and have an entirely different view of who you are than you think you are if you mislead. This wastes everybody’s time. Even yours! Do give as much basic information in your profile as you are comfortable offering. This is basic information for a reason, and others typically look at it first before all other content. It takes less than a minute to complete, and it’s worth your investment. Don’t skip content in your profile. When someone views your profile and notices that you haven’t completed basic information, then they are safe to assume that you aren’t as invested as them when it comes to finding someone. The overwhelming majority of members who have met through LFGdating have completed profiles. Do write a little about yourself. This isn’t for you as much as it’s for other members. Having a little extra about yourself in the Small Pleasures or Greatest Gifts sections give members more content to work with when writing their first message. You don’t need to write a lot – even a few sentences goes a long way! Don’t write huge, block-text paragraphs about yourself. These are hard to read, and most members won’t take the time to read it all the way through (partly because reading large chunks of text on mobile is really, really hard!). Less is more. Do update your profile once every month or two. You want to do this so you recognize what other members are writing to you about. If you check your matches once or twice a week, but never update your profile, and then six months later someone messages you and brings up that they like a movie your profile says you just saw, and in your head you’re thinking, “I saw that six months ago…what is s/he talking about?…” you won’t be off to a great start. If you updated your profile, and someone messages you and talks about something your profile says, you will now be current and up-to-speed. This is a best practice hands down. Don’t think what you put in your profile doesn’t really matter. It does. Everything about your profile says a little about you, and that is not a corny pun or anything like that. Your profile matters. In fact, it matters so much that we’re in the middle of a five-part series about online etiquette, and this is one entire post! Please remember – your profile deserves your attention. It’s everything to members getting to know you online. Of course, your interaction through messages and in time, an in-person date, will carry you forth, but your profile is the first big step. Make it count!